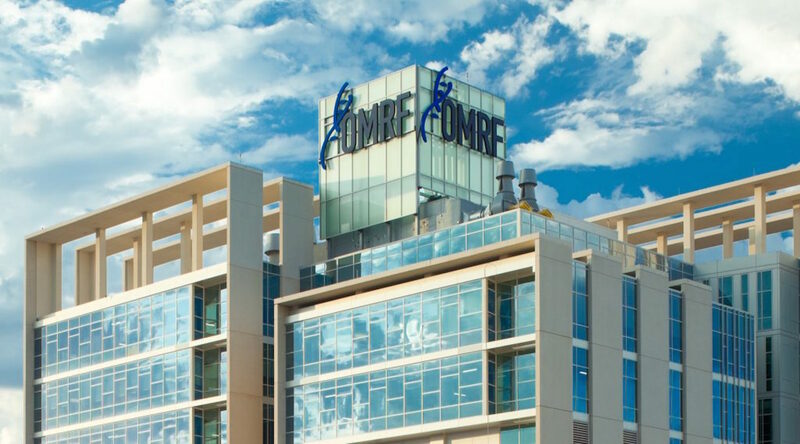 OMRF has added three new researchers to its scientific staff. All assistant members, the trio assumed their new positions at the foundation Nov. 1. The new additions bring the total number of OMRF senior scientists to 49. Joel Guthridge received his Ph.D. in microbiology and immunology from the University of Kentucky, Lexington. In the lab, Guthridge studies the causes and development of systemic autoimmune diseases like lupus, multiple sclerosis and Sjögren’s syndrome. He serves as Director of Translational Informatics and Core Resources in OMRF’s Arthritis and Clinical Immunology Research Program and coordinates operations for the foundation’s biorepository, a storage facility that houses more than 1 million human blood and tissue samples. Tommy Lewis, Jr., Ph.D., has joined OMRF’s Aging and Metabolism Research Program. His research focuses on the role of mitochondria in neurons in both healthy and disease states. This work may help give researchers a better understanding of the biological processes associated with neurodegenerative conditions like Alzheimer’s disease. Lewis came to OMRF from Columbia University in New York, where he completed postdoctoral work. He received his Ph.D. from the University of Southern California, Los Angeles. Vascular biologist Pengchun Yu, Ph.D., received his degree from the Institute of Neuroscience at the Chinese Academy of Sciences in 2010. He came to OMRF from Yale University School of Medicine, where he was a postdoctoral fellow. He has joined OMRF’s Cardiovascular Biology Research Program, where he will continue his studies on the lymphatic vessel system. Defects in lymphatic vessels can cause lymphedema, a disease characterized by dramatic and painful swelling in the limbs that can lead to infection.